Want to discover the beauty of the surrounding area? 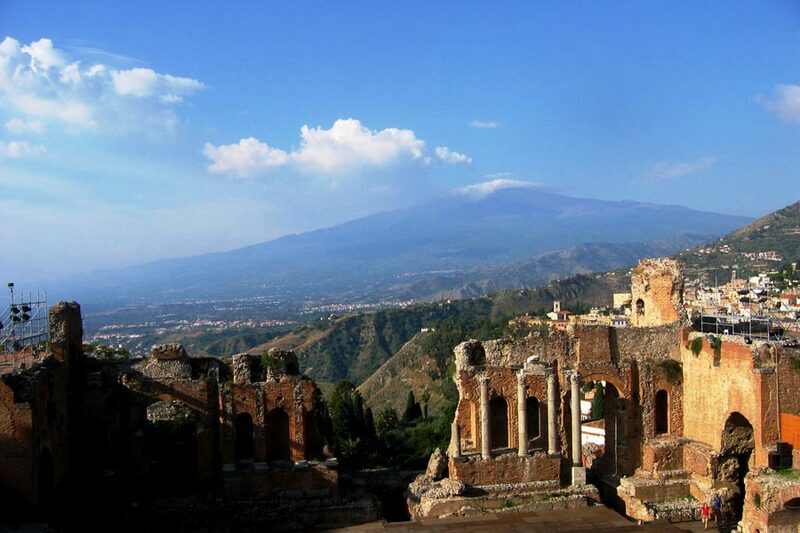 For those who love nature and sightseeing, you must go to Mount Etna or the beautiful Timpa di Acireale. For sport fans, check out the ski-run in Viagrande, go-kart at St. Mary of the Sick, the ice rink in Nicolosi, and more. If you are interested in leisure and cultural activities Catania and its center is the place for you. There is a great choice of cinemas, theaters, concerts and discos. 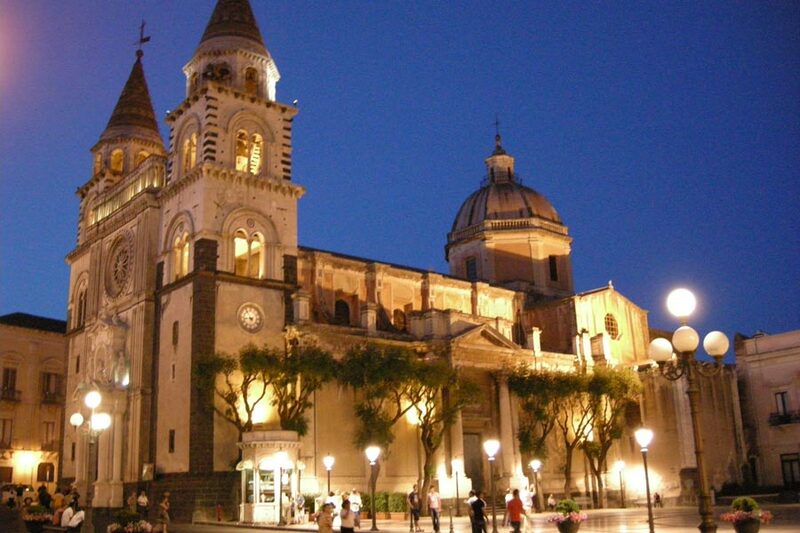 If you like shopping, there are many nearby shopping centers located in the hinterland of Catania. 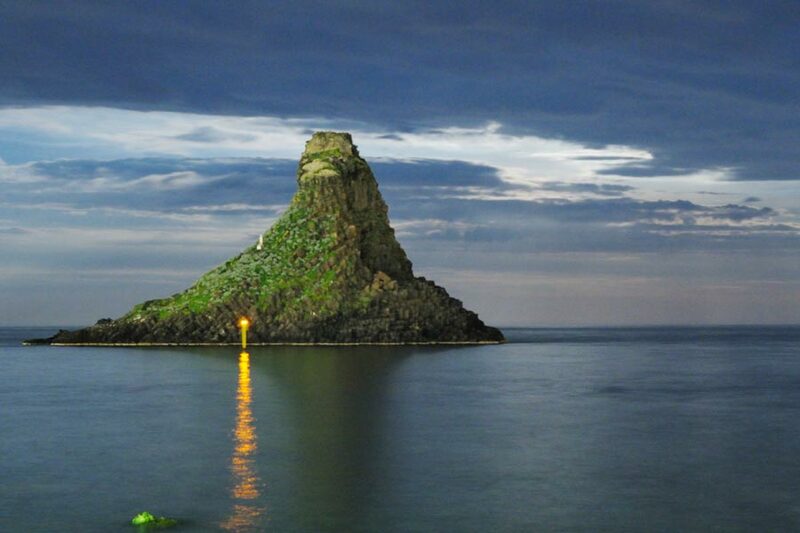 For those who love good food, lots of restaurants with delicious dishes of fish to discover the tastes of Sicily. 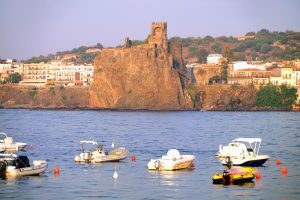 For travelers that want to visit the major tourist attractions, you can choose from the charming Acitrezza which is just a stone’s throw away, the famous Taormina which is just 45 minutes drive on the highway, or the archaeological Syracuse. 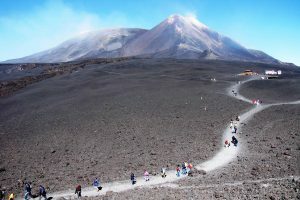 Mt.Etna: The different kind of routes on Mt. Etna are organized by professional guides and they will give you the chance to reach unbelievable high peaks by cable car or jeep. The high altitude and its unique view will guarantee excitement and fun. Ski and tubing: for those who wish to learn to ski in comfort, Monte Serra Viagrande park, just 10 km north of Acireale, provides a ski slope in synthetic turf. 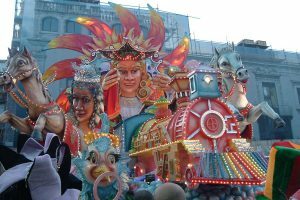 Acireale’s Carnival: Every February/March, Acireale organizes the most beautiful Carnival in Sicily. Don’t miss the masked performances, the Allegorical floats & Majorettes parade, and the folk music concerts. 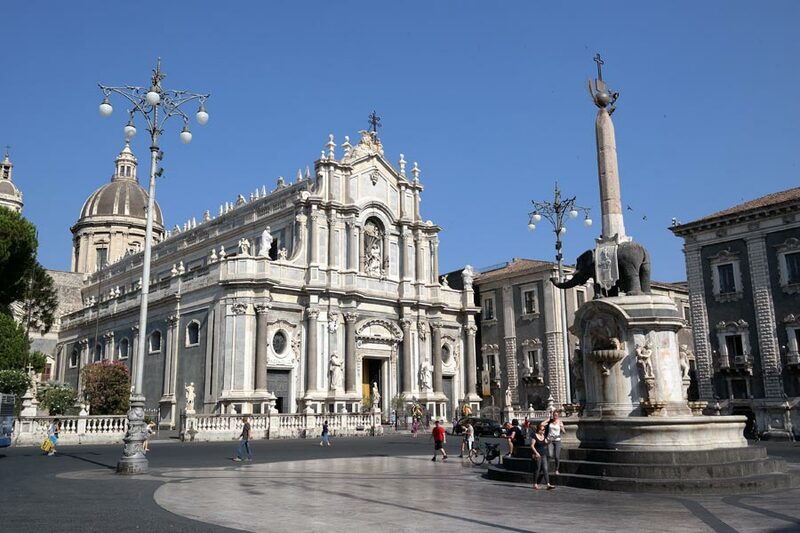 The charming old town of Acireale is only few minutes drive from the Hotel (3 km). And in summer, the carnival continues! Catania: if you are interested in leisure and cultural activities Catania and its center is the place for you. There is a great choice of cinemas, theaters, concerts and discos. And for dining there are plenty of restaurants pizzerias, pubs, wine bars and some places even serve croissants at night! In San Giovanni La Punta, the two malls Le Zagare and I Portali offer a huge range of commercial and recreational activities suitable for all ages. There is a great choice of restaurants nearby the hotel, where you can enjoy delicious lunches and dinners. Pizza Delivery: you can order any kind of pizza you want directly through the hotel reception. Mc Donald’s is only a few minutes drive from the Hotel. It is situated in the commercial area north of Acireale, close to highway A18 (Catania-Messina) of Acireale, and it is considered a meeting place for everyone! 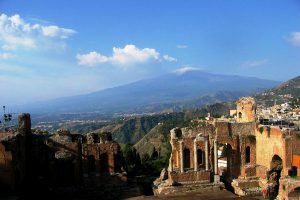 Taormina’s historic center and the nearby beaches of Letojanni, Isola Bella and Giardini Naxos are fantastic places to see. 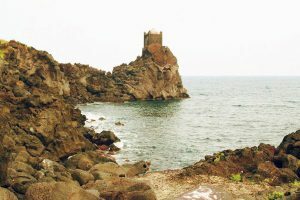 The small town of Aci Trezza, located in the charming Riviera of the Cyclops, between the stacks, the island Lachea and the Malavoglia’s House. 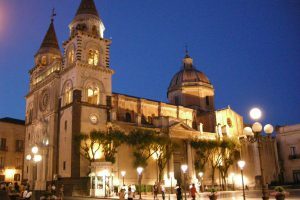 Syracuse and the island of Ortigia are great places if you want to discover the fascinating ancient stories and mythologies.